I’ll begin this by stating that this is a blog post, and not a critical essay. I’m writing to express my own feelings on a subject that’s been bugging me for a long time, but I’m not making this a bulletproof defence of my position. In fact, it would be great if it led to some spirited discussion. So what’s my beef? 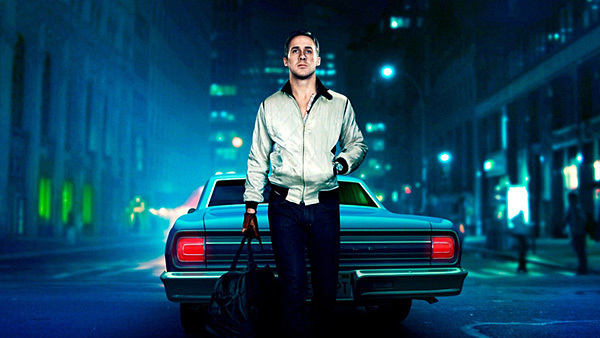 I’ve seen Nicolas Winding Refn’s Drive twice in the past couple of weeks, and each time, I’ve left the cinema feeling exactly the same. The film is brilliantly-directed and a beautiful example of stylish genre cinema. But each time I’ve seen it, within a few hours, the experience has faded. It’s a bit like eating junk food. Tasty and addictive but far from nourishing. And that’s where I have noticed the cinema heading for a number of years now. The multiplexes are filled with all manner of superhero and comic-book adaptations as well as other genre films. These films are long on special effects and explosions but woefully short on memorable characters. If Christopher Nolan’s The Dark Knight is held up as an example of the best Hollywood has to offer us, then I’m afraid the times are very dark indeed. I’m happy to be attacked as a snob. Maybe that’s all I am, but in my individual experience, I’m much happier immersing myself in a film with believable characters. They don’t have to be sympathetic (although that helps) but they must be more than sketches or archetypes. This type of story seems to have largely disappeared from our screens, unless we’re willing to include European cinema. I’m not saying I don’t enjoy well-made genre films. Drive is certainly enjoyable. The Coen brothers make great genre films, and I was recently remembering how much fun Alex de la Iglesia’s Balada Triste was. But a steady diet of cinematic junk food just isn’t good for my health. 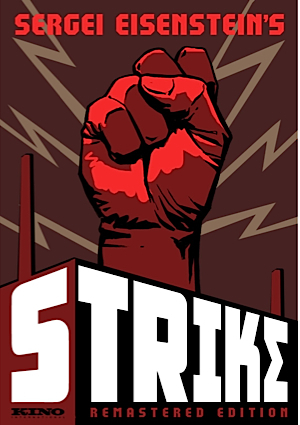 Just yesterday I sat down to watch a classic of early Soviet cinema, Sergei Eisenstein’s Strike. While the technique was dazzling Eisenstein’s refusal to identify a main character alienated me. Soviet films from this period were eager to push the envelope of existing film language, and politically, they wanted to glorify the masses rather than the individual. My alienation from the story and characters is designed to help me notice the technical aspects of the film, which were new and innovative. I’m meant to feel on a gut level rather than to think. These films have also been called propaganda. Today’s films have a different reason for de-emphasizing character, I think, and it’s much more prosaic. Ever since the birth of the blockbuster in the 1970s, genre films have generated more box office. Sensation and plot rather than character have been the engine of most films since then. As special effects have become ever more impressive, protagonists have become less complicated. The screenplay has become gradually less important to the point where it’s common now to have four or five credited writers on a film. Even comedies suffer from this dumbing-down, with gags more important than the development of unique characters. Can you name a character from a comedy from the past decade that wasn’t somehow in the title of the film? It’s no surprise that audiences have become younger and younger, and that the most successful films are often those marketed to children and their parents. There also seem to be more films than ever being made. Each weekend we have at least half a dozen new choices, not to mention the weekly DVD releases. As studios flood the market with so much “product,” it seems less important how good it is. They’d rather have us watch something new all the time than re-watch old favourites. Even if they do keep re-packaging popular films so fans have to buy them over and over, they still make more money from us at the cinema. Consider this: each year another few hundred films are released by the Hollywood studios. With the publicity around events like the Oscars, most of us feel we have to see at least 20 or 30 new films each year, even if they’re less than satisfying. If that’s the only diet we get, we barely notice the lack of good writing or fleshed-out characters. It’s only when we have an opportunity to see the full range of cinema, historically and geographically, that we realize what we’re missing. 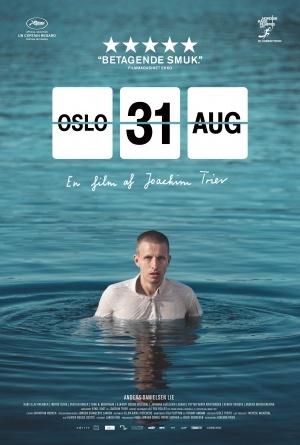 At this year’s TIFF, for instance, I saw a number of great character studies: Goodbye First Love from French director Mia Hansen-Løve, Volcano from Icelandic director Rúnar Rúnarsson, Oslo, August 31st from Norwegian director Joachim Trier, just to name a few. But I’m doubtful you’ll see these films getting much of a theatrical release. And while I still enjoy genre cinema, I’m becoming exhausted by its ubiquity. Too much of it is ruining my enjoyment. I need a balanced diet, and I propose to you, dear reader, that you do, too. Hopefully, the fact that you’re reading my blog at all means you are seeking out the less-flashy corners of the film world. This entry was posted in Personal and tagged rant. Bookmark the permalink.